The Dawn Wall is here! Join us to see the most anticipated climbing film ever made. Currently on sale for one night only in Queenstown. 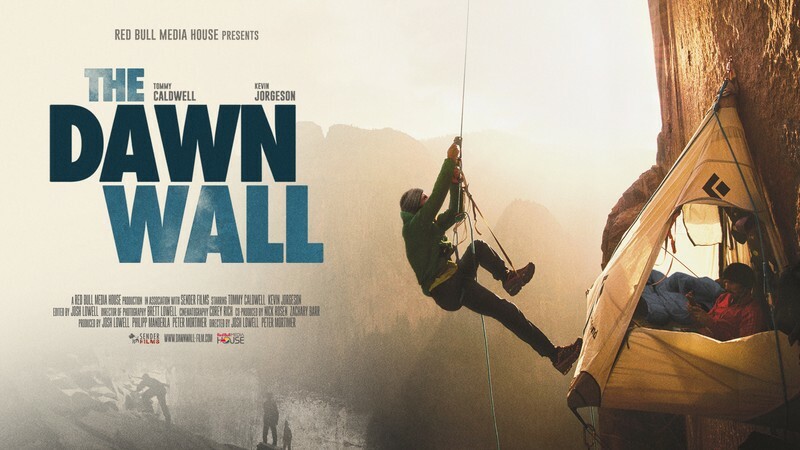 More than just a climbing movie, The Dawn Wall is an epic and inspirational story that will take you into the hearts and minds of the protagonists and is to be enjoyed by all. But for Tommy Caldwell, the Dawn Wall was much more than just a climb. It was the culmination of a lifetime defined by overcoming obstacles. At the age of 22, the climbing prodigy was taken hostage by rebels in Kyrgyzstan. Shortly after, he lost his index finger in an accident, but resolved to come back stronger. When his marriage fell apart, he escaped the pain by fixating on the extraordinary goal of free climbing the Dawn Wall. Blurring the line between dedication and obsession, Caldwell and his partner Jorgeson spend six years meticulously plotting and practicing their route. On the final attempt, with the world watching, Caldwell is faced with a moment of truth. Should he abandon his partner to fulfill his ultimate dream, or risk his own success for the sake of their friendship? Winner of The Audience Award at South By Southwest. Accepted to Melbourne International Film Festival. Described by Variety Magazine as a "must-see". 100% on Rotten Tomatoes. Check it out now!